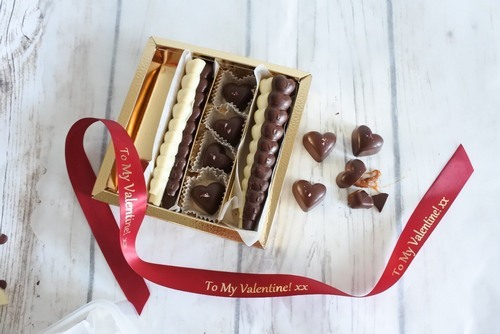 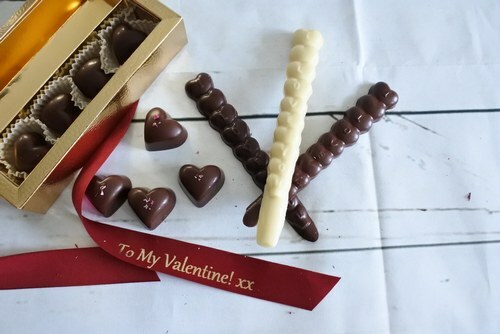 Please choose your Personalised Ribbon Message of what you would like to have on the ribbon for example “Happy Valentines Day Anita!” or whatever you choose – Please see pictures! 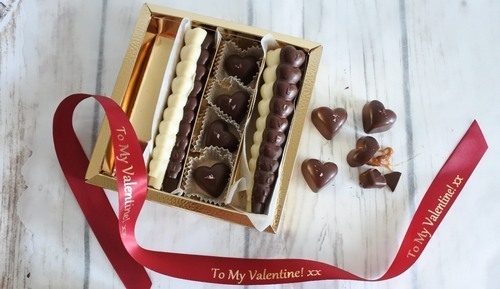 Caramel Hearts Ingredients: Organic milk chocolate 55%, organic butter, organic cream, sugar, vanilla pods, wildflower honey, and edible flowers. 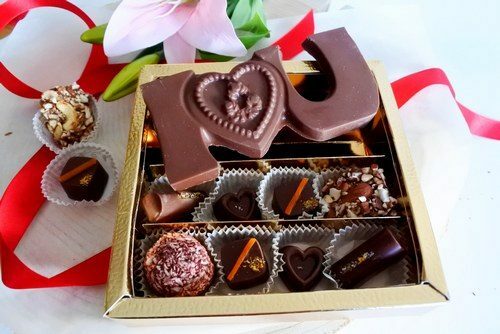 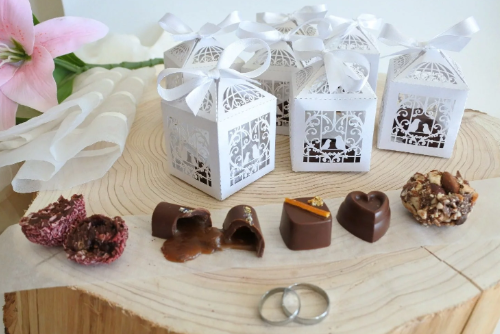 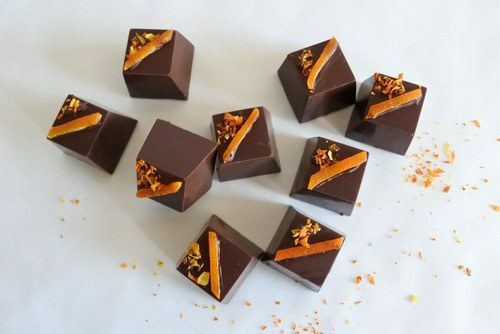 *All of Lavinia Wilson’s chocolates are made from organic ingredients. 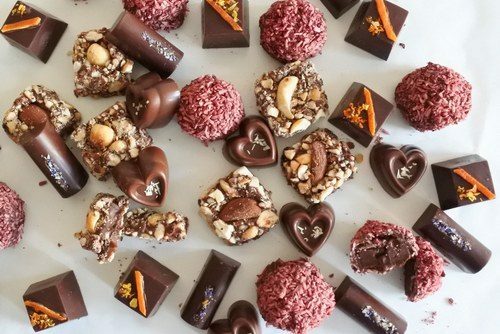 These Organic Chocolates are so special because they are ethically sourced from The Congo and Lavinia has partnered up with the manufacturers, who run a conservation project to protect the last of the mountain Gorillas in Virunga Park.